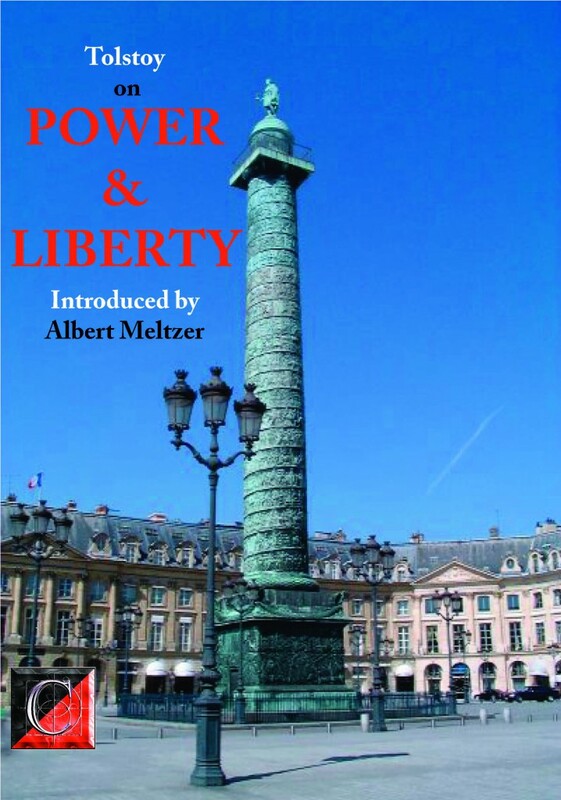 Power and Liberty by Leo Tolstoy. Introduction by Albert Meltzer. ISBN 978-1-873976-13-5 First published in 1968 by Coptic Press, 10 Gilbert Place, London WC1. This edition (2013) by ChristieBooks (Kindle edition). In this essay, Tolstoy maintains his theory of great men as the myths and tickets of history. History, he asserts, must give up the idea that great men rule us, and busy itself with the discovery of the idea of humanity. One looks for the overthrow of the French Empire not in this or that decision of Napoleon, but in the various factors down to the corporal who enlisted for the bounty once too often. What causes that great motion, the People, to brim over into an historic event? Nobody nowadays believes that the French Revolution happened because Marie-Antoinette was somewhat careless with her jewellery; but many people believe that Churchill, or Stalin, “won the war”, or that Hitler, personally, lost it. Moreover, the whole defence of Nazi war criminals — “we acted under orders” — is relevant to Tolstoy’s critique: it is not your great men who order history. It is a combination of circumstances in which the great man acts merely as the reference-card in the history book. It is not denied that they too like all other individuals play their part in history; but that role is not so decisive as those who wish to avoid responsibility admit. “The great are only great because we are on our knees“. Cover illustration: The Vendôme Column, Paris, completed in 1810, to celebrate the French victory at Austerlitz. The column is topped with a statue of a bare-headed Napoleon, crowned with laurels and holding a sword in his right hand and a globe surmounted with a statue of Victory in his left hand.